Alicia Xl by New Look ~ Longer Equals Hotter The Alicia XL wig is a longer version of the popular Alicia style. Feel good knowing you look super hot in your Alicia XL wig by New Look. 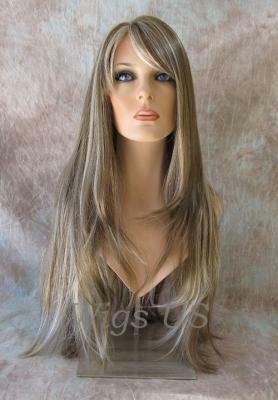 We have created a wig that gives off a very natural look with soft bangs, and a layered cut. The long, beautifully layered waves, fall down to reach between 26- 28 inches in length. The adjustable cap allows you to fit the cap perfectly to your head. The Alicia XL also provides the flexibility to style your new hair in a variety of unique ways. Many color options to choose from, the Alicia XL has the color that works for you. Remain cool and carefree with the ultimate in comfort and reliability. The natural beauty the Alicia XL wig shows off is on display for everyone to see. The shine reflects nicely under any light source, and no one will even know your not flaunting your real hair. A great price to boot, the Alicia XL is sure to last for longer then you’d ever imagine. If you keep good care of it, you can expect the same in return. 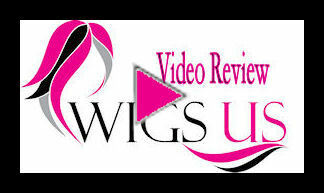 Don’t forget to check out our hair products, found below, for all your other wig needs.